Quality that you can rely on. Save up to 50% with original XL ink cartridges. Using this high-capacity yellow ink cartridge with an increased volume of 6ml, you can print up to twice as many photos than with a standard cartridge. The ink cartridge contains HP Vivera ink which allows you to print crisp lab-quality photos. The ink dries almost instantly and is resistant to smearing. The cartridge is designed for inkjet printers HP D5460 and C5380. The cartridge yields up to 600 A4 pages at a 5% coverage. For shipping to other EU countries visit this page HP CB325EE no. 364XL. Chcete doručit zboží do Česka? 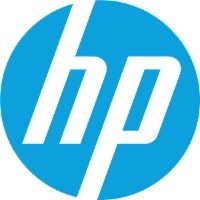 Prohlédněte si HP CB325EE č. 364XL žlutá. Chcete doručiť tovar na Slovensko? Prezrite si HP CB325EE č. 364XL. Magyarországra történő kiszállításért tekintse meg ezt a termékoldalt: HP 364XL (CB325EE).